Create a Cadbury Eggs Easter Dessert! If you want a chocolate-y, delectable, creamy, sweet Easter dessert, then you have come to the right place. Nobody, from age four to age ninety-four, will be able to resist these cream cheese frosted chocolate cupcakes with a surprise inside. Yes, they contain inside the best Easter candy around--Cadbury eggs! I've always loved Cadbury eggs, but. for the purpose of this recipe, I'm not talking about the regular-sized ones. 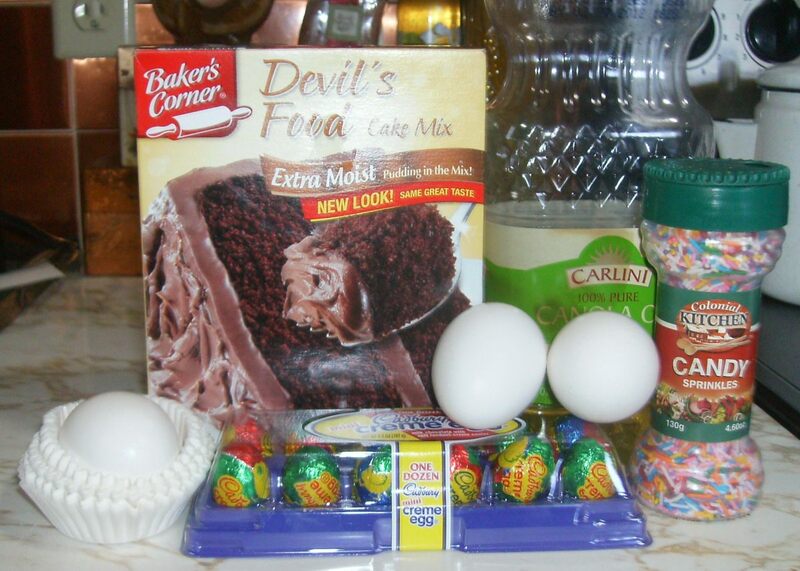 In this recipe, we will be using the mini Cadbury eggs.They fit just right inside cupcakes. Just you wait! 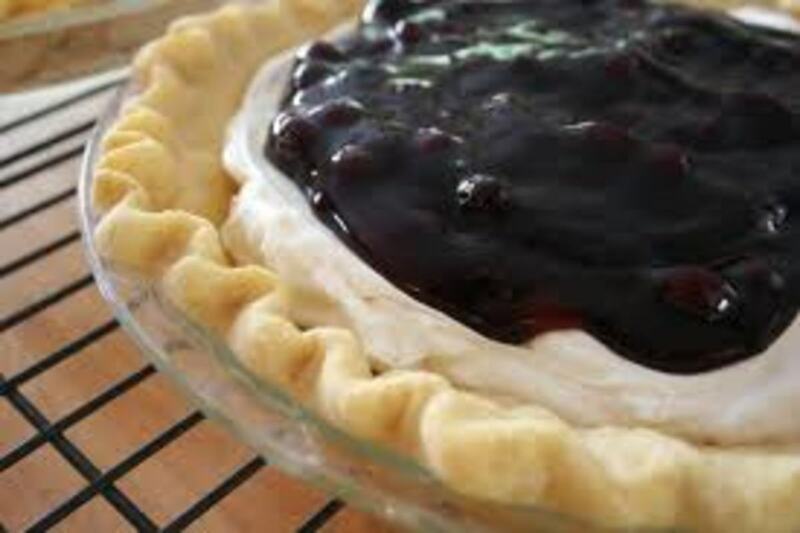 You and your kids will love making this recipe year after year. And it's a recipe the kids will love to help with. 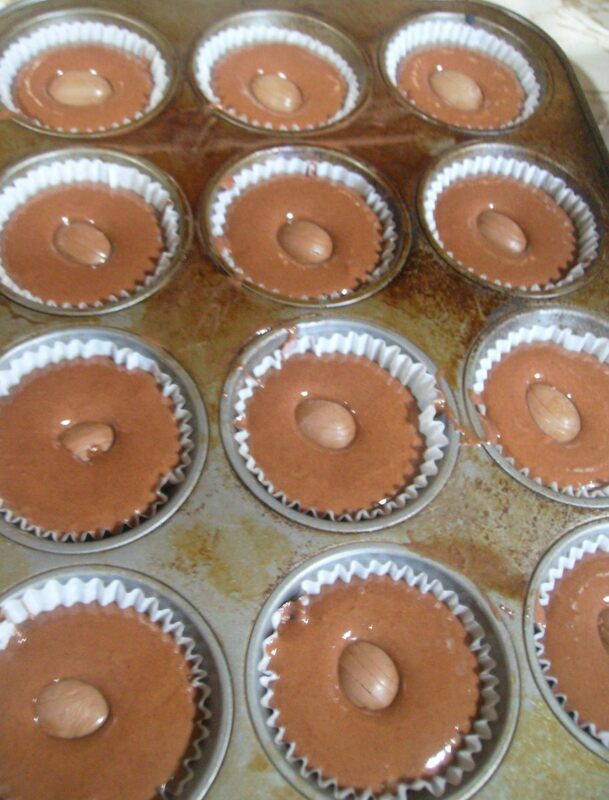 Your kids will love making this dessert with you, stirring up the batter, licking the beaters, inserting the mini little Cadburys into the center of a dreamy chocolate cupcake, or spreading frosting on the finished cupcakes. The final fun touch will be sprinkling colorful candies, in beautiful colors in honor of Easter, on top of these divine creations. Follow instructions on cake mix box to make batter. 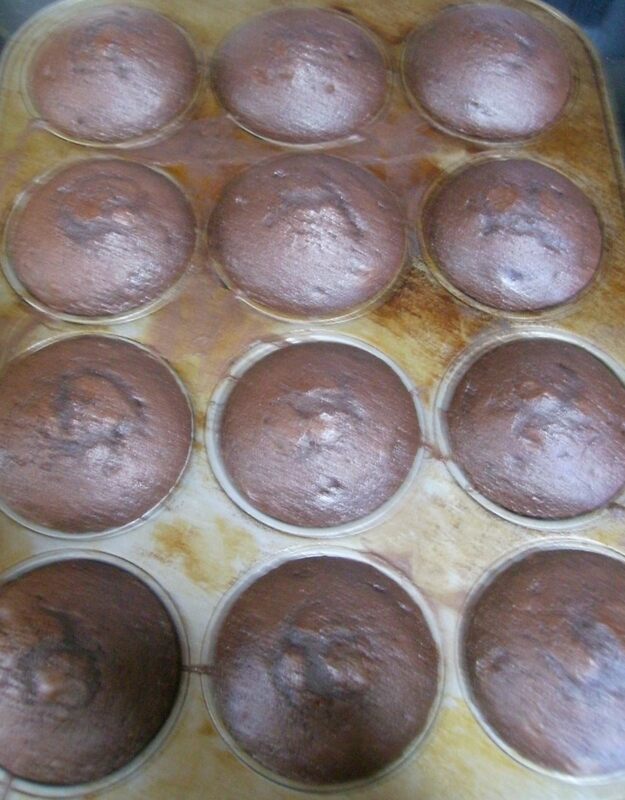 Grease and flour muffin pans or fill with baking cups. Fill muffin cups about 3/4 full. Unwrap mini Cadbury eggs, and place one in the batter in each cupcake. Add a little more batter to completely cover the egg. Bake according to instructions on cake box, approximately 15 minutes at 350 degrees. Take out when time is up or check earlier to see if toothpick inserted in cupcake comes out clean. 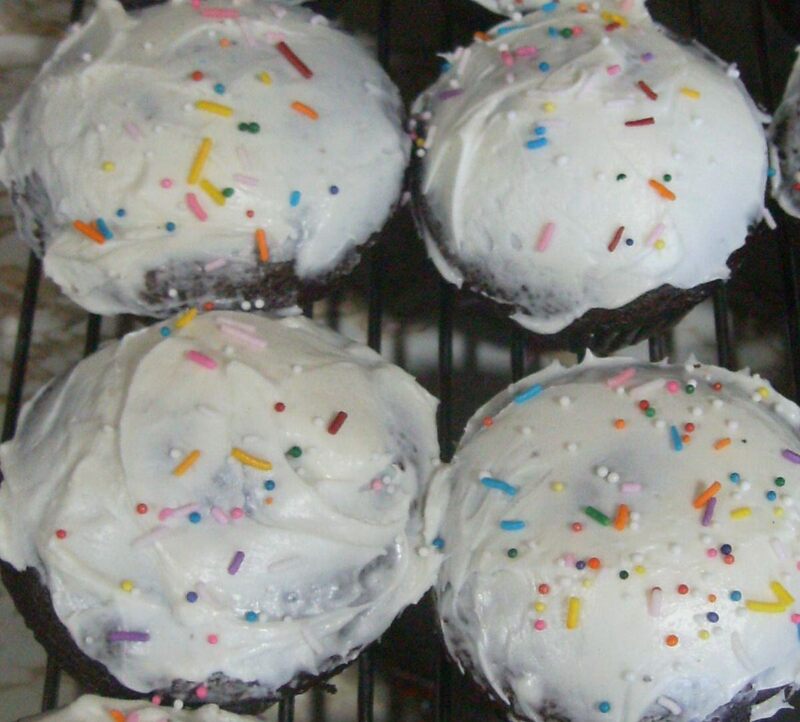 Allow cupcakes to set for a few minutes before pulling them out to cool on a rack. 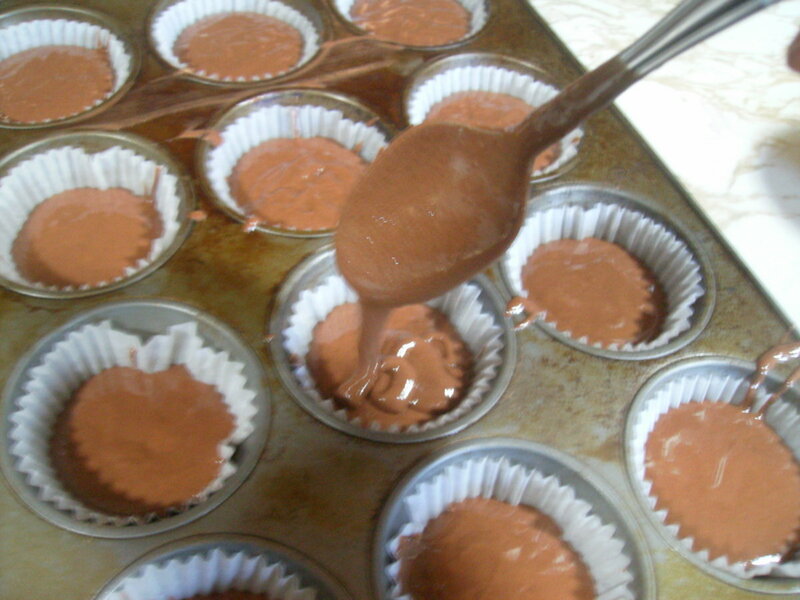 They should pull out easily if you use baking cups. When cupcakes are completely cool, spread cream cheese frosting on top. Sprinkle with candy sprinkles on top. Chocolate sprinkles are an option, but the colorful sprinkles are pretty and add color for Easter. Cook for about 15 minutes before testing with a toothpick for doneness. Cupcakes may need a few more minutes, but it's okay for them to be a little undercooked. They will cook more as they sit, and the mini Cadburys will be softer with less oven time. When time for eating, part of the Cadbury will have melted into cupcake, while part may be chewy. 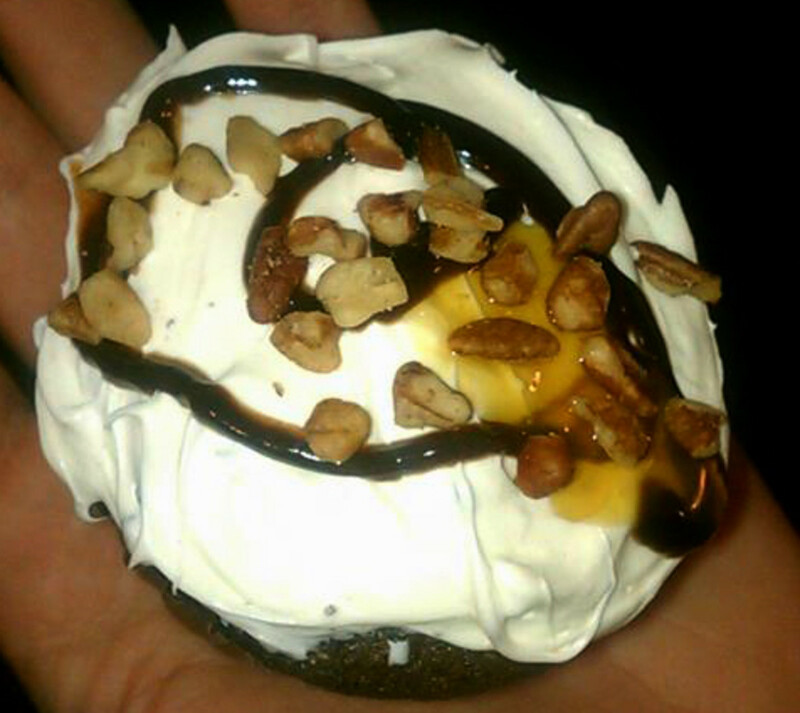 Either way, biting into this special cupcake is a tasty surprise. The Best Easter Candy? My Letter to Hershey's Cadbury Eggs! Cadbury Eggs are easily the best Easter candy. I wrote a letter to Hershey's to urge them to offer Cadbury creations throughout the year. Do you think they will reconsider? 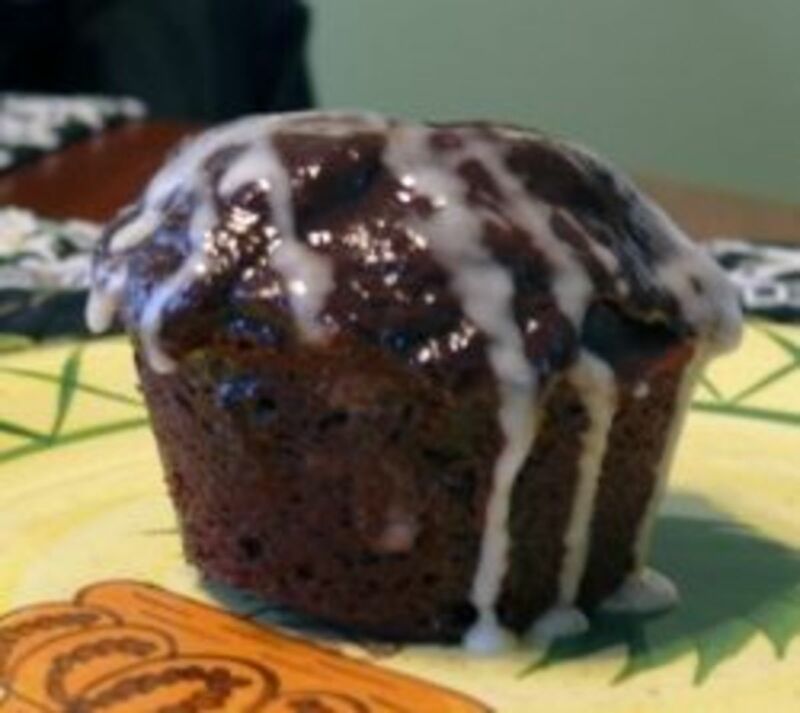 Now those cupcakes look divine, thank you for sharing the recipe, can't wait to try them. Voted up, useful and awesome. Let me just say, BEST cupcake recipe ever! This is one of my new favorites voted up. What a fun and clever cupcake recipe. I usually just pop the mini cadbury eggs in my mouth, now I could pop a few in some cupcakes too! 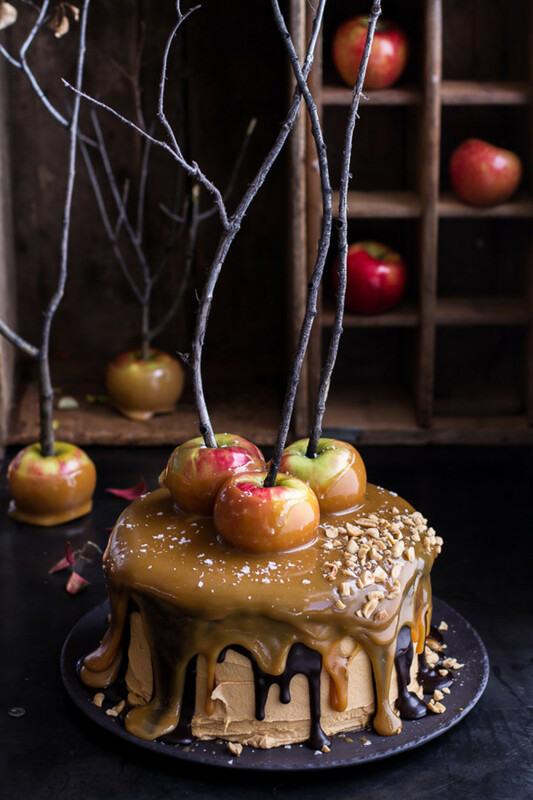 Natashalh--They are decadent and amazing! Try them! I can't resist sweets... Pinning for reference! Oh my... I am going to have to try these. My daughter is making a batch tonight! :-) YUM YUM YUM!! CC--Glad you are sufficiently drooling! I hope you make this! I'm trying to resist this year. LOL! Thanks, My Cook Book! I appreciate that! !!! Amazing! I love Cadbury eggs and these look amazing. Pinning! Great recipe, well organized article and well written as well. Good work! What's better than a chocolate cupcake? A chocolate cupcake with a Cadbury egg inside! What a fabulous idea. vespawoolf--I wish they would make them available year round. I just had one today and am already craving another one! I may have to pick up some mini ones and make these cupcakes. So decadent! I am also a big fan of cadbury eggs. I hope they listen to your request to make them available year round! These cupcakes sound so delicious--very clever. I like the tips for how children can help make them. Stephanie--Awesome! I'm sure your group will love them! Those little Cadbury eggs should be out on the shelves soon...I've got to make these for my painting group! Good idea, Maddie! You could experiment with putting different kinds of candies inside the cupcakes! What a cool idea. I might try it with a non-Easter candy some time! Thanks, random! A totally fun and delicious Easter dessert recipe! 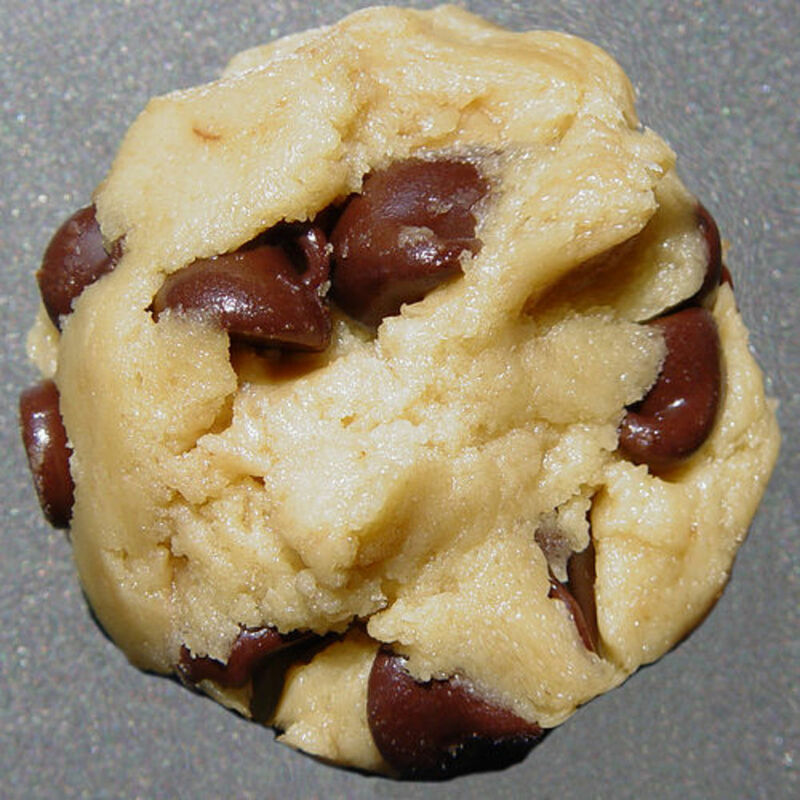 stephhicks-- A delicious button is one thing I want in my hub about features I wish HP would add! LOL. Try this with the kids. Tell me what you think! Try it, vellur, try it! A chocoholic's dream! Thanks for the tip! femme--They're well worth the elliptical! Cook them up, Jools! Enjoy! Go for it, sunbun! Have fun with it! Yummy! Yummy! Yummy! I love chocolate! These look absolutely delicious! Try it, hecate-horus! It's so delish! Great recipe, Vicki! Perfect for Easter! Still looking for that "delicious" button to use when voting up! I LOVE Cadbury eggs and cupcakes. I am so excited to try this recipe with the kids this week. Rated up!! A delicious and yummy treat. OOOh I love it!! Voted up. These look really good, and they also look like they could cost about 15 hours straight on my elliptical, lol!!! Thanks, Lilleyth! glad you think it's an awesome idea! Brainy Bunny--Now that's an idea! A whole large Cadbury egg inside the cupcake! These look yummy and Cadbury's always make the best chocolate eggs. I fancy a spot of cooking today, might give these a whirl! Voted up. You go, Dana! Top them with Peeps! I'll let you, LOL! I want to see pictures! Go, Nell, go! You MUST make these! Glad you liked the photos, too! Great easy recipe idea! My son will love unwrapping each egg! Must get some easter chocolate...NOW! ShepherdLover--You sure don't need a kid around to enjoy these, trust me! They're delish! I love Cadbury eggs, and this sounds like a delicious way to eat them! Thank you for the recipe. O...M...G! I think you've given my sweet tooth a heart attack. LOVE cadbury eggs. I think I will try this recipe! Yum,yum. You must try these, Ardie! Yum! We are having a huge family gathering this Easter and guess what I'll be bringing? Thanks for the great recipe. Did I say yum yet? Cadbury Eggs Cupcakes?!! I must be dreaming.... I HAVE to have this recipe :) Thank you for sharing!!!! I voted awesome! Great idea. Mmmmmmm. . . Next time I want to see a cupcake with a whole large Cadbury Creme egg inside! You crack me up! It had to have Cadbury Eggs in it, didn't it? LOL...great hub but I'll switch to the chocolate bunnies in your recipe. I'll let you know how they turn out. Nice job my friend! This recipe looks incredible!!! I love Cadbury Eggs and I love cupcakes. I am hungry just looking at this. I am definitely making this for Easter. Thank you so much for sharing this. Voted up and awesome and sharing! Thanks, Susan. I made just today and have already had two of them. What a bad girl I am! Oh, these look wonderful! I'm not sure if I could save enough of the mini Cadbury eggs to add to all the cupcakes, though - I do love those little candies! Great recipe, and especially nice for kids to make for Easter. Voted up and pinned! 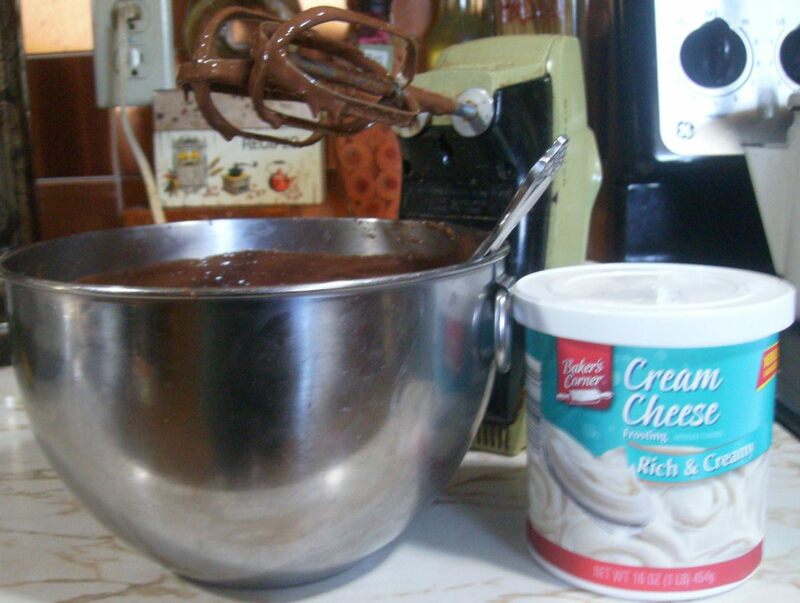 Now how could we forget the cream cheese frosting! 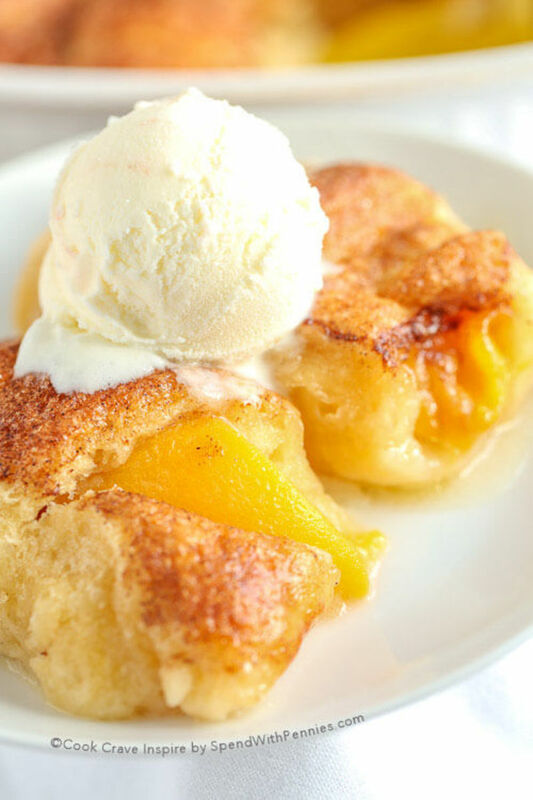 These look yummylicious... will look forward to trying this recipe out! Voted UP & Awesome. Hugs, mar. oooh someone has a craving now! Im just sayin' - these look SO good. I love finding fun recipes that the kids can help make. They love spending time in the kitchen. You had me at Cadbury eggs. These cupcakes look sooooo good and since I love both chocolate and cupcakes I'll be trying these.